cool idea. similar to the meteor shower. this not like starTrail ? Could you explan how do you use to edit the photo like thí? I love the concept. 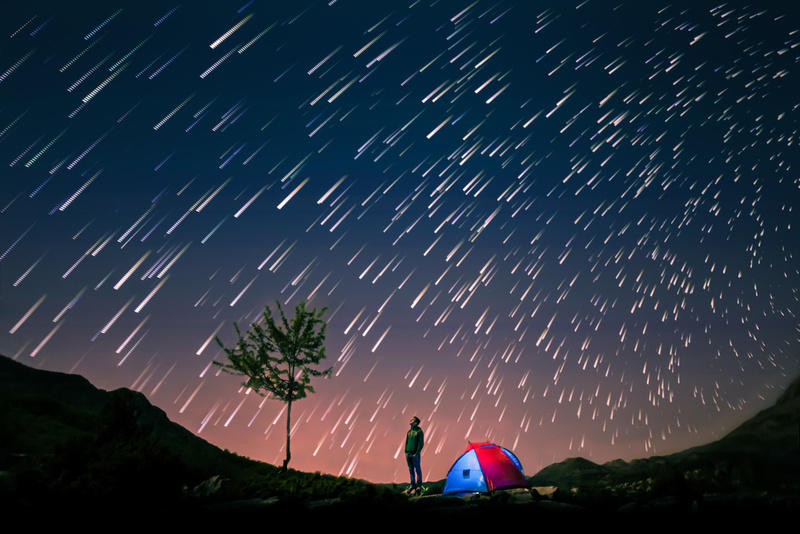 It looks like the stars are falling like raindrops at you and your tent.